oneswellfoop has not added any external profiles yet. oneswellfoop is not following anybody. Waitaminute... if you're talking about Great Playwrights, where's Neil Simon? And don't let anybody try that old "he's still alive" excuse - if he were, Broadway playgoers would be lining up today for "Odd Couple IV - the Oddening". Anyway, I believe it happened at that reunion of "Your Show of Shows" writers that was hit by an asteroid ... the only survivor was Mel Brooks. 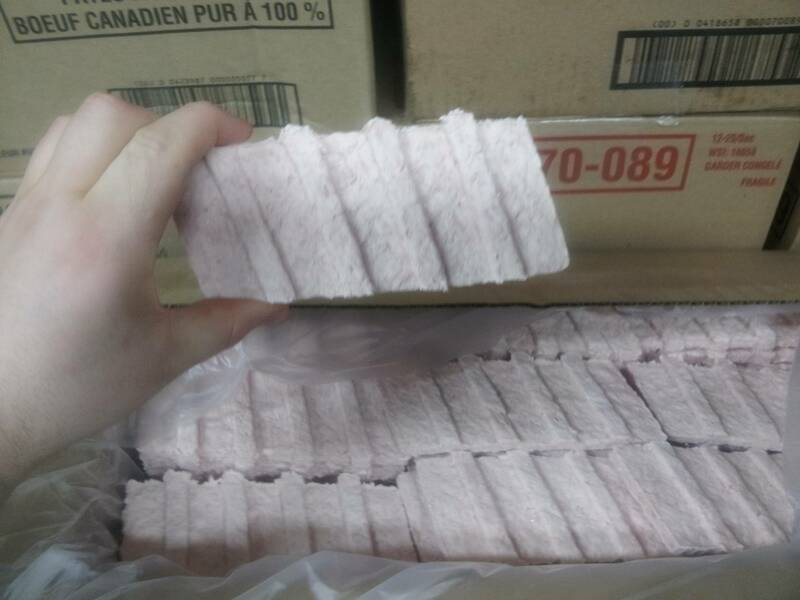 With this picture of a frozen, uncooked McRib meat-thing http://i.imgur.com/uLG1TTI.jpg bouncing around the Web AND Burger King introducing a $1 "BBQ Rib" sandwich http://www.businessinsider.com/burger-king-just-r... , this year's McRib season will get interesting. it's not well known, but I always recommend "The President's Analyst"... a little dated but sums up the 1960s perfectly: American intelligence agencies fighting each other more than the Soviets, Telephone Company is the ultimate Big Bad - sorry, SPOILER - Freudian analysts, D.C. elites, hippies, suburban gun nuts, NOBODY is spared, plus a scifi angle that is just now coming true about 'implantable telephones' and the greatest line ever uttered in a movie "I'm NOT paranoid! You really ARE all spies!" "Head", the Monkees and Jack Nicholson do dada. Nuff said. These are the movies I show to any friends who declare themselves bored with current media... and they never talk about it again. (3) I remember him guesting on several episodes of "Sliders" as what was essentially an Evil Time Lord. He was the best thing on the show at the time (not that difficult, I know). "You wouldn't like me when I'm... PRESTO!!!" As a former resident of Los Angeles who grew up when the Rams was OUR team, St. Louis has all my sympathy..
"I think I'd like to see some big-screen portrayals of the really alien looking and acting characters." The Adventures of Akbar: how he rose to the rank of Admiral, mostly for his ability to recognize a trap. The "Holiday Special" did leave me wanting to see more Wookiees.. no translated voices, please. Just subtitles. Or go WAY back to the First Jedi and his inevitable persecution (maybe crucifixion? no, too controversial, besides, he'd be able to use his mind powers to get the mob to get him down).